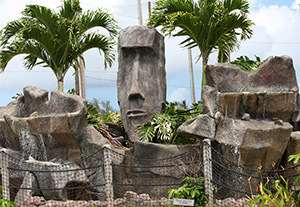 Tiki Island is the perfect place to bring your keiki for a little outdoor recreation. 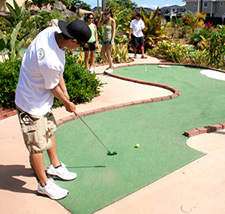 Go for a round of golf on one or both of our two miniature golf courses. We also book birthday parties where we provide the food and the fun. Tiki Island has two tropical-themed miniature golf courses set in a lush oasis: The Koa (fearless) Course and the Noa (freedom) Course. Check in at the Klipper Pro Shop for clubs, balls and scorecards. Children under the age of 11 must be accompanied by an adult (16 & older). Fee: A $5 refundable deposit is required for the use of a putter and ball. Putters and balls available at the Klipper Pro Shop. $5 deposit will be returned upon return of equipment. Come to Tiki Island for fun or practice at our Batting Cage. 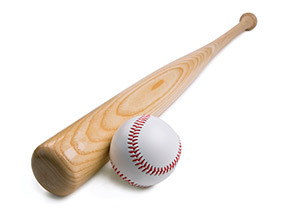 All authorized patrons may use the new automatic pitching machine for FREE, and if you don’t have a bat or helmet, they are available to borrow at the front desk. Hardball only. Reserve one of our party packages available in three-hour blocks. The use of the Tiki Island miniature golf and batting cage will be available at no charge, daily from 0800-1800. A deposit of $5 per person will be required for equipment use and will be issued at the Golf Pro Shop. Minimum age requirement to sign out equipment is 12 years. Catering for events/parties is available and reservations through Sam Adams by calling (808) 254-5592. No outside food or beverage allowed in the park.